NOOSA'S unique approach to environmental, community and economic sustainability, which we - well, the vast majority of us - love and cherish as the cornerstone of our paradise, did not happen by accident. It took long-term thinking and planning by numerous people over time to turn and hold back the tide of development destined for Noosa that has become evident in so many coastal regions the length of Australia's eastern seaboard. Outstanding among the groups who fought for this result is Noosa Parks Association, which was established in 1962, and has been at the forefront of conserving and protecting land from rampant development ever since. 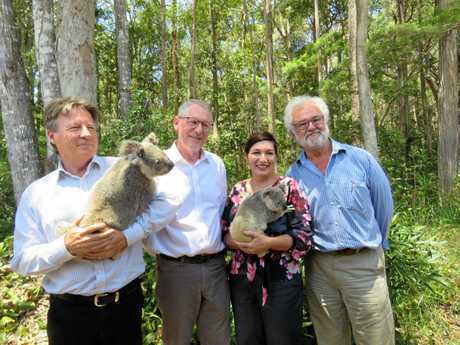 "The story starts in 1962 to protect the coastline of what is now Noosa National Park, to stop a suburb being put into Alexandra Bay,” long-standing president Dr Michael Gloster said. Gloster said the NPA "model” differed greatly from the stereotyped protesters chaining themselves to trees or similar; the thing to do when a disliked development had already been approved, with predictable results. Instead, founder Arthur Harrold, Gloster's mentor, identified state-owned land with no designation, and travelled to George Street to convince the government it should be national parkland. To Gloster, a qualified town planner and architect with a PhD in community change and management, this made perfect sense. "I joined in 1982, and told NPA there was more than one lever to build national parks,” he said. "Arthur's model was brilliant: you look for the large chunks of land that are really environmentally important and which was government land, vacant crown land where final use hadn't been settled. But to go further, a second way needed hatching. "I put it to Arthur, if we to go further than national parks acquisition we had to reform Noosa Council and have a heavy influence on town planning, because [that] was a really powerful tool to get additional chunks, so I put together a team of seven people to run for council in 1982, which had a total of 12 then,” he said. The next 15 years brought about conservation of land around Noosaville, the coastal strip to Peregian and on the north shore. Harrold's model was still in operation in 2008, Gloster said. "That was when we started to put together the next wave of reform - buy- back - then we had to gener- ate dough in the millions to buy out Yurol/Ringtail forests, so that was the third way,” he said. "People didn't even know about it until they read about it in the Noosa News. "And the fourth way is what we are cranking up on [Noosa] river. For 57 years now, we've done a petty good job on forest restoration. The fifth way in the process was to establish a population cap. "We knew in the '80s that the absolute milestone was getting a population cap,” Gloster said. "Up until then, all the rhetoric locally - and up and down the coast of Australia, it was 'how do we manage growth?'. "It was never the question asked: 'How do we stop it?'. Implicitly it was going to grow forever; it's just that we just said 'no, there's got to be a limit how many people can live here'. 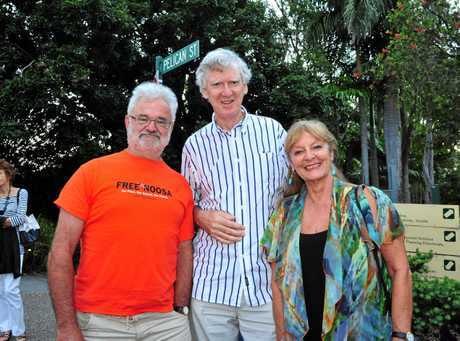 Council amalgamation , and the battles fought to release Noosa from its clutches brought about near disaster for Noosa, as well as interesting alliances, Gloster said. 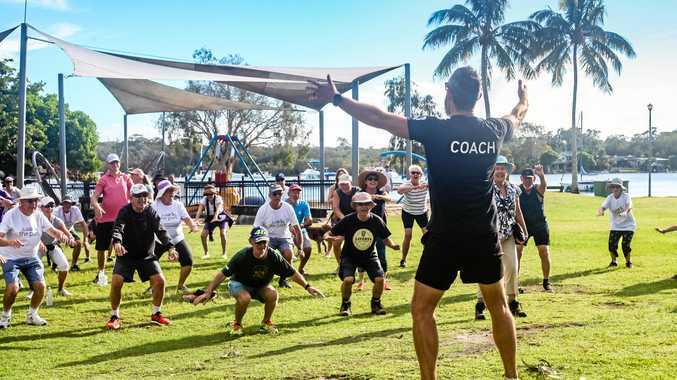 "It was a fundamental affront to Noosa, mostly to two tribes; with Friends of Noosa led by Bob Ansett and Jim Berardo, there's was a visceral reaction, almost from image and branding,” he said. "It was something we shared at NPA, but we saw the threat very much at the guts of the town planning process, all of which could be washed away. "In that six years [of amalgamation] it came perilously close; for example, Sunshine Coast Regional Council wanted to re-open the airport debate on the North Shore, putting a significant airport there. "The de-amalgamation campaign was really interesting. The Parks Association with Noel Playford, me and Tony [Wellington], historically we didn't get on that well with Friends of Noosa. 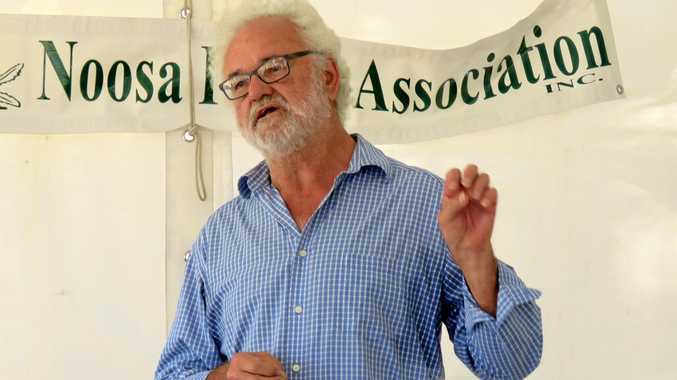 Gloster said due to Noosa's population "churn” most currently here would not remember the amalgamation years, though many will know about the subsequent de-amalga- mation process and fight. He said one big challenge now was tourism numbers, and their impact on the local environment. "Mayor Wellington has convened what is euphemistically called the Sustainable Tourism forum, thinking they will get a gold star in sustainability,” he said. "Most others around the table are saying it's not even close: if you continue with this caper you're going to be Barcelona. And that scares the s..t out of them. Gloster and his NPA have made a few enemies along the way, either through winning the battle of ideas, or more often sheer jealousy at NPA's enviable success rate. But he's learned to be thick-skinned, and never takes his eye off the long-term goals, making him a formidable politician, albeit not in the political arena. "Every one of these waves sets off a certain opposition - but if it's only 20 per cent you're doing well. In the early days we were in the minority,” he said. "I think now we've got support from middle Noosa, who are giving us the benefit of the doubt. He also has an answer for those who say NPA is too close to council. "We are the most successful community organisation to exercise our democratic right to influence our council,” he said. "Part of the myth that we're too close is we've been so successful in 57 years in shaping council policy. "Every time you do that, you create enemies, so the common thread among the enemies is we must have 'had an inside run'.